The Hopkins Tour Choir will visit Ireland from June 13 to June 21. Well known for its excellent performances on The Hill and around the Elm City, the choir will bring its talents to both Ireland and Northern Ireland, including the cities of Dublin, Galway, and Belfast. 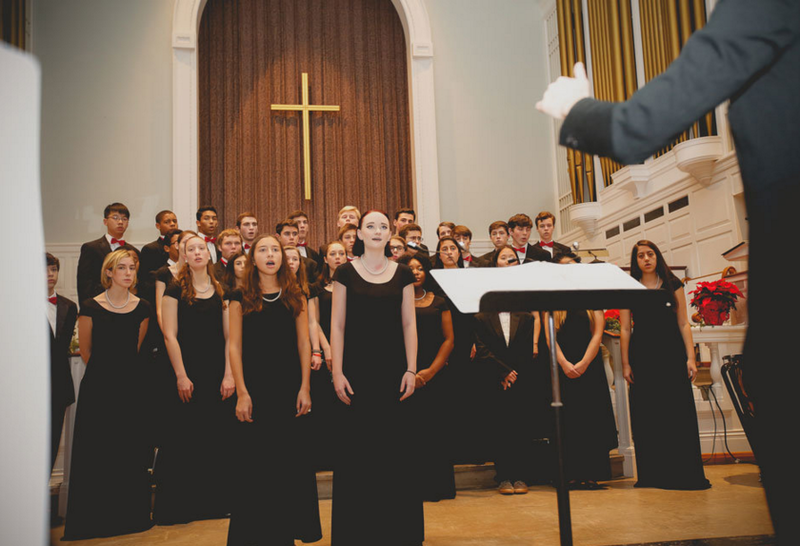 Most of the Tour Choir is comprised of members of the Hopkins Concert Choir. However, there are also several singers in the Tour Choir who are not part of the Concert Choir proper. Additional faculty outside of the choir were also drafted to be chaperones for the trip. The Tour Choir will be performing in St. Patrick’s Cathedral in Dublin, the largest church in Ireland. They will also visit Trinity College in the same city, home to the Book of Kells, one of Ireland’s most famous manuscripts from the Middle Ages, and the subject of the film The Secret of Kells. Prior to its time in Dublin, the Choir will visit Galway, which is on the west coast of the country. Upon arrival, the Choir’s first destination will be Rathbaun Farm, a sheep farm just south of the city. “It doesn’t hurt that Rathbaun Farm serves homemade scones! It will be a good introduction into Ireland,” commented Schroth. After Dublin, they will visit Malahide Castle, just north of the capital, and continue to the Northern counties. In Northern Ireland, the choir will visit Belfast, a city with an intense history of religious violence. “It will be exciting to learn more about the history when we are there,” said Schroth. The Choir’s program for Belfast includes a concert at St. Thomas’ Church of Ireland, a visit to the shipyard where the Titanic was built, and a trip to the Shankill and Falls Roads, two historic sites. The tour will conclude with the choir returning to Dublin and departing for the United States on June 21. “I am so excited to see Ireland’s beautiful scenery and hear people speak in various Irish accents,” said Schroth-Douma ’19.